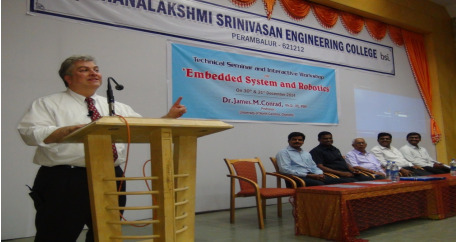 James M. (Jim) Conrad, Ph.D., PE, PMP, Professor, Electrical and Computer Engineering from University of North Carolina, Charlotte Embedded system and Robotics discussed the developments in embedded systems and in Robotics. Also he discussed basics of software tools used in embedded domain. 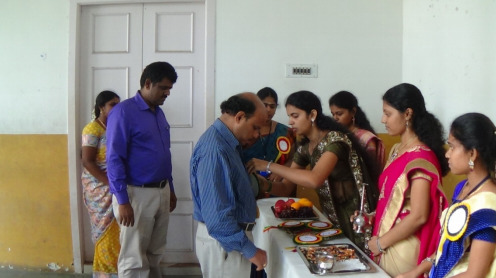 He also encouraged the students and faculty to do research works. 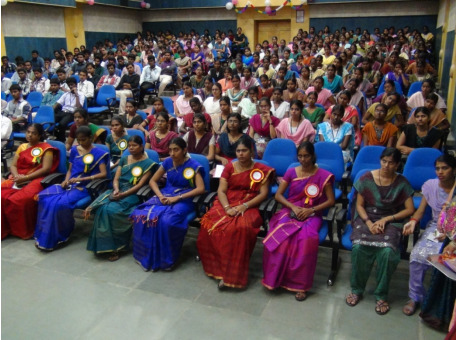 Dr. N. SaivaRaju gave the inspiring lecture on Applications of Partial Differential Equations. Also he explained simple ways to solve complex differential equations. He also taught about the techniques used in signal processing. 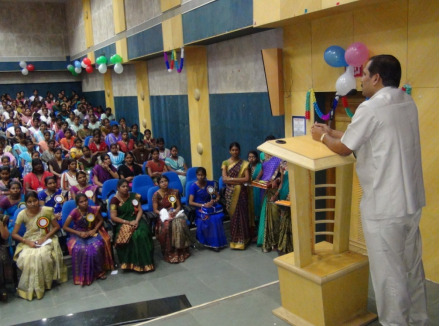 The Chief Guest Prof. M. THIRUSELVAN, Head of Department discussed the various modern developments in solid state transistor. 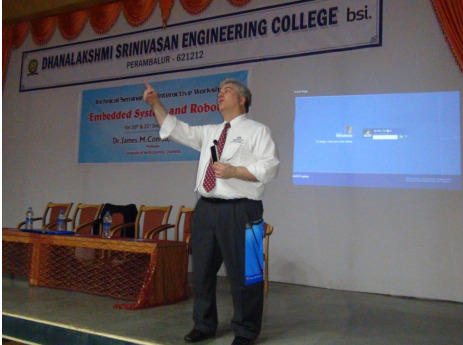 He explained the Challenges in the microelectronics. 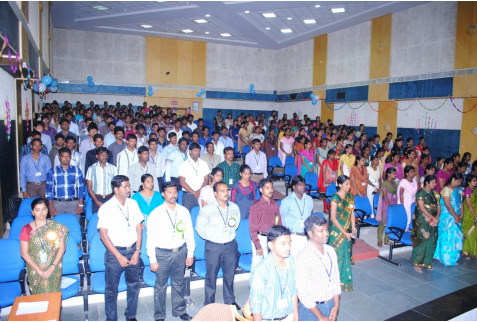 He brought the awareness of Electrical Engineering in the signal processing, telecommunication and instrumentation. Dr. M. Aramudhan talked about inheritance and its techniques in detail. He explained the Challenges in the Inheritance and behavioral sub typing. 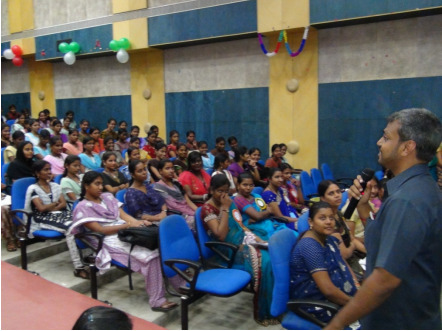 He discussed the importance and necessity to learn the concepts of object oriented programming systems and the job opportunities in that domain. 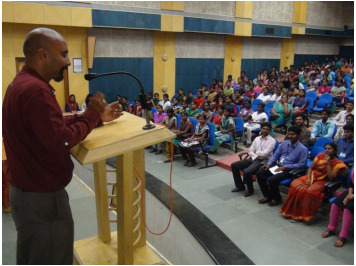 The Department has conducted a one day a national level workshop & guest lecture on Digital signal processing and its applications The Chief Guest Dr.P.RameshBabu, EIE, PEC, Pondicherry discussed the Real time applications of Adaptive filters. He suggested some easy methods to solve FIR and IIR filter design Problems.